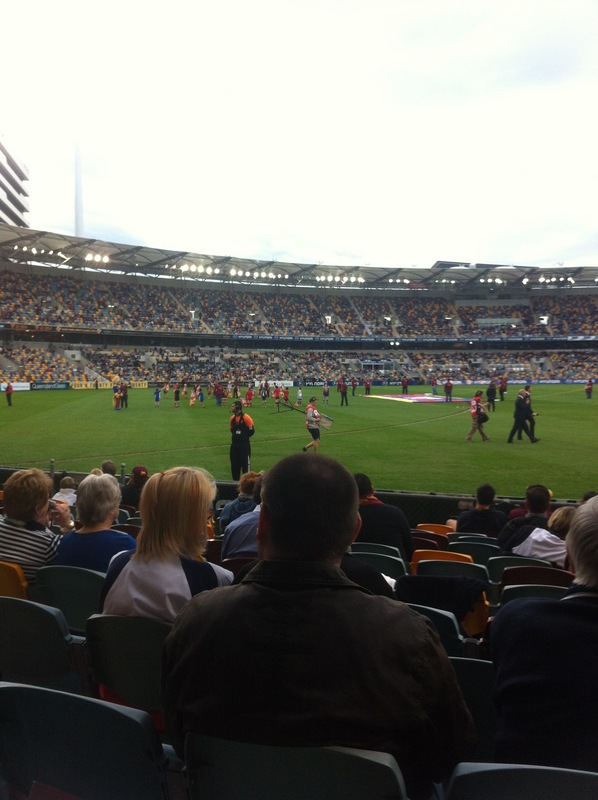 The Brisbane Lions is an Australian rules football club that plays in the Australian Football League (AFL). 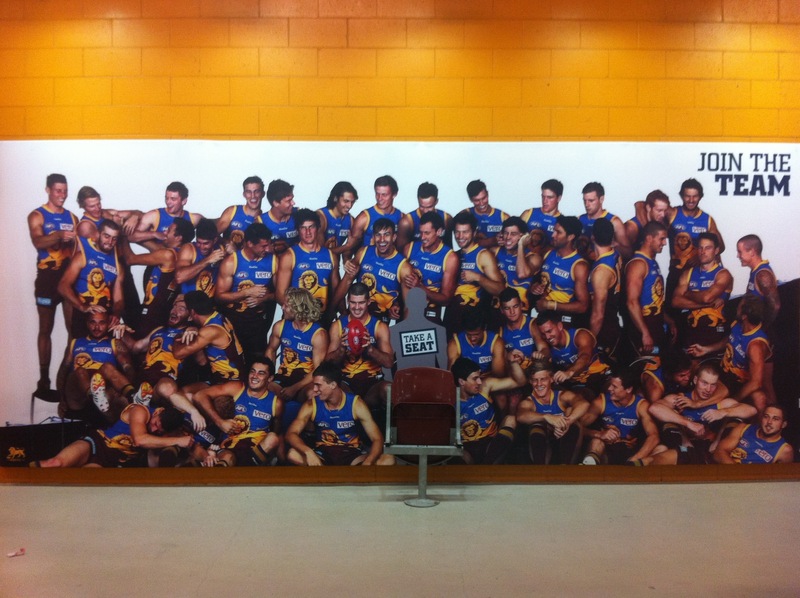 Based in Brisbane, Queensland, the club was formed in 1996 from the merger of the Fitzroy Lions and the Brisbane Bears and play at The Gabba. I was so lucky to be invited by the sweetest (talker) Rotarian in the Pine Rivers Club, Two Scoops who just so happens to be a former Fitzroy AFL player! Just to give you a quick summary of how the game is played. Both teams have eighteen players on the field of an Australian football ground or modified cricket field. The game’s objective is to move the ball that looks like a smaller version of an American football through the team’s own goal. A goal is worth six points if the ball is kicked between the two tall goal posts. If the the ball is kicked between two outer goal posts, a score of one point is awarded. I view AFL as a combination of nearly every sport except maybe swimming. The players kick, bounce, or run among other things to score. The only thing not allowed is throw and there are no offsides. Since AFL is a contact sport, players can tackle using hands or entire body. Two Scoops told me that an AFL can change at any moment during the game and his words were manifested at tonight’s game. The Brisbane Lions were playing against the Geelong Cats from Victoria who are one of the best teams in the league. Most spectators were expecting the Lions to lose especially when we were down by 52 points at the half. In the fourth quarter, something changed on the field and the Brisbane Lions came out roaring and scored 57 points to win by five points in the final seconds! It was the eighth-bigest comeback in VFL/AFL history! NO ONE anticipated a comeback of epic proportions that we would fully experience with our two eyes or four for some of us. The crowd was going mad standing and cheering so loudly! The best was that Ashley McGrath scored the winning goal in his 200th career game. I’ll never forget this match for the rest of my life. I walked into The Gabba truly looking forward to spending time with Two Scoops and his family. He taught me several of the rules and made sure to give me as much insight as possible. 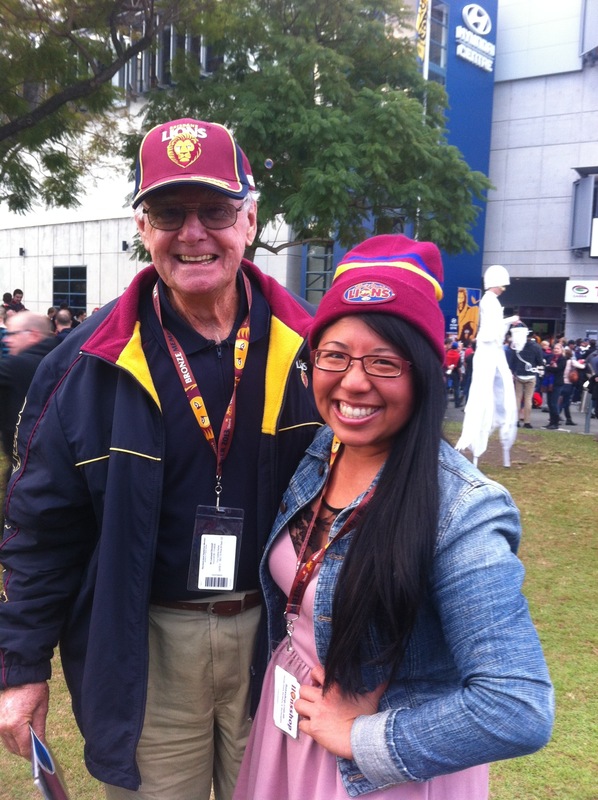 Little did he know that we’d watch one of the best matches AFL has ever seen. Go Lions! Thank you Two Scoops! You’ve made a fan out of this lady.